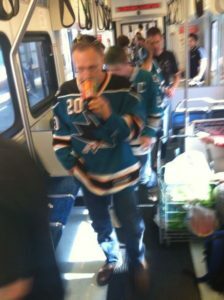 There’s a San Jose Sharks-L.A. Kings outdoor hockey game tonight Levi’s Stadium in Santa Clara at 7pm. 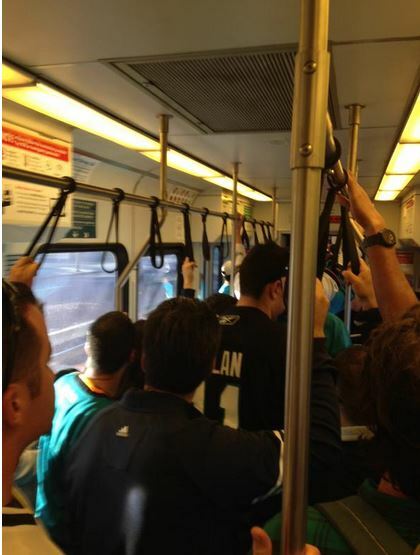 Expect overcrowding on Santa Clara Valley Transportation Authority (VTA) light rail system-wide, as hockey fans travel to and from Levi’s Stadium in Santa Clara. Note some of the other transit options like Caltrain linking with VTA buses and light rail in Mountain View to take hockey fans to and from this special game. Note some of the other transit options to and from tonight’s game as well. Had a good or bad experience on VTA tonight for the game or any other game? Bring that issue up to VTA Customer Service and management thru these steps. 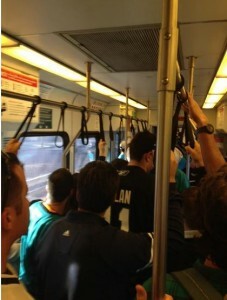 We’ll be monitoring the transit service before, during, and after the game via @svtransitusers on Twitter. The latest transit updates tonight – and any time – are available via @svtransitupdts on Twitter. Stay safe when riding the buses and trains tonight.